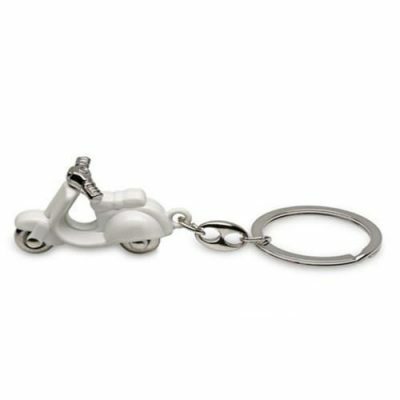 Genuine Vespa keyring made from metal. 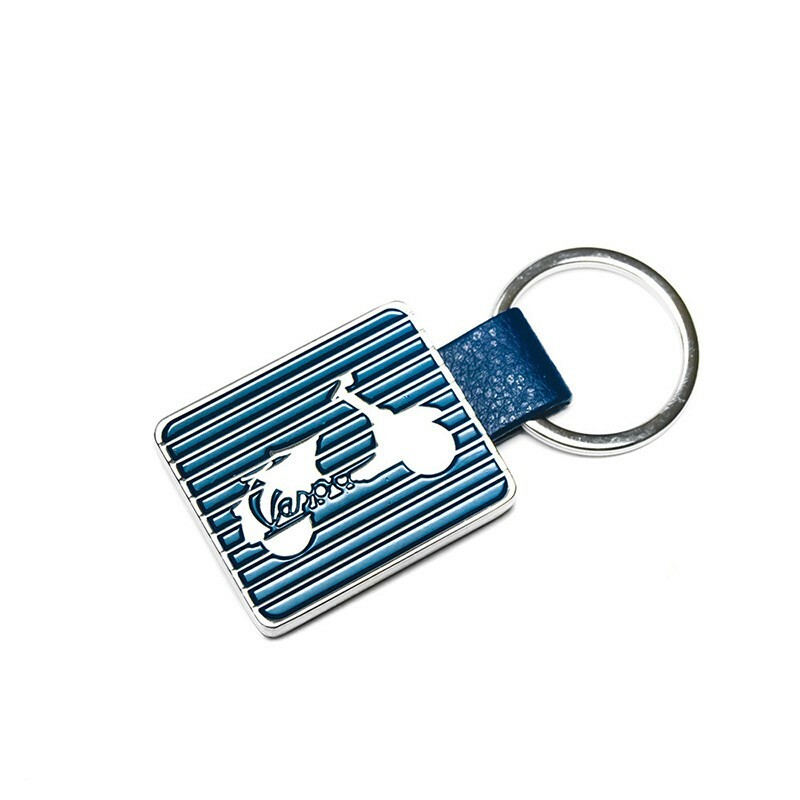 The keyrings feature a Vespa silhouette with a Vespa logo and stripes with webbing used to attach the keyring . 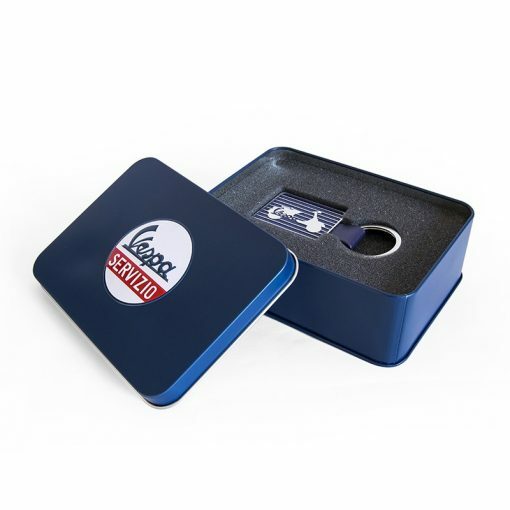 The keyring is presented in a tin Vespa gift box. 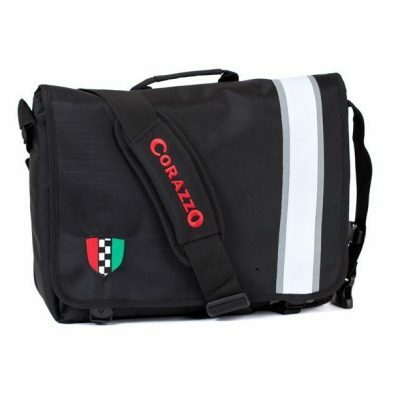 This one is Blue. Vespa metal keyring Blue Striped with a scooter silhouette presented in a tin Vespa gift box.